3 Aug Post by Whitney Zed Filed under Icons & Inspirations, Most Popular Hairstyles in History, The Gorgeous Lifestyle. Tagged Carolyn Murphy, confidence, individuality, Jessica Biel, long hair, sarah jessica parker, style. Defining your unique style first comes from within. It requires understanding your own sense of style and exhibiting confidence with your individuality. By staying true to your own style, you can then exhibit that confidence on the outside. This week, we spotlight three fashion icons who have owned the long-haired look. Carolyn Murphy, glamour impresario, is a household name to beauty and fashion devotees everywhere. She is recognized by face, if not always by name, for a look she embodies. Carolyn’s signature look, for over 20 years, has always included long hair. Long hair has been a mainstay with her success in a fickle industry. Having asserted her consistent look, Carolyn has long been in demand by international Vogue and Elle, top Italian designers, and cosmetic powerhouses. The styling variations in her work exemplifies the versatility of long hair. 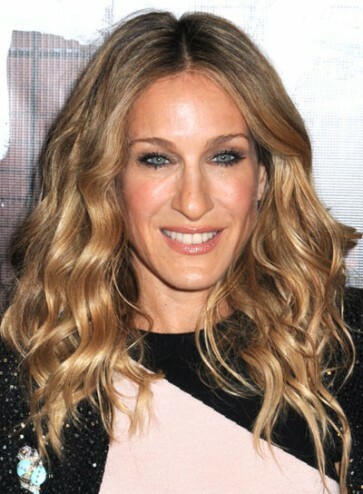 Sara Jessica Parker is also known for her long, curly locks (as we previously spotlighted) and subsequent, unique fashion sense. Trends are easily copied to a tee, and then there are those like SJP who break the mold entirely by experimenting with clothing or hairstyle. She initiates a quirky, feminine vibe, which inevitably includes texture, shape, color, layers, and stilettos. By venturing out of the comfort zone, she emits self-confidence. Jessica Biel has literally grown up in the public eye, appearing on national television from the age of 14. Her metamorphosis from reserved adolescence to radiant beauty appears to have happened naturally. She is often noticed with her long trademark hair, worn down gracefully. Her style presence appears equally effortless in casual candid moments as it is on the red carpet. Pre-civilization theory refers to long-haired females as highly desirable, with attributes including youth, fertility, and innocence. Modern perceptions have since evolved; today, women unabashed to own their look convey any message they aspire to convey. A positive attitude with confidence proves a potent combination.